Poor quality medicines threaten us all, but have the greatest impact on vulnerable populations in countries with inadequate medicine laws and regulation. Keeping patients safe and ensuring that the benefits of modern medicine are delivered to those in need are the key goals of a wide range of organisations which rarely have the chance to come together to address shared concerns about global medicine quality. The Medicine Quality & Public Health Conference will be the first ever dedicated academic and programmatic conference on the subject. The Conference will bring together people from a variety of sectors: public health, national regulatory authorities, pharmacy, biomedical, chemistry, law, ethics, cultural and social sciences, the pharmaceutical industry, international organisations, NGOs, national procurement centres, and internet and pharmaceutical forensics. 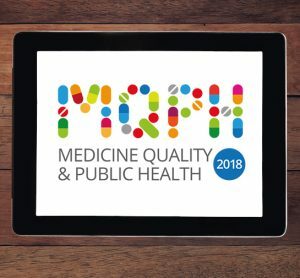 The Medicine Quality & Public Health conference will take place at Keble College, Oxford, UK from 23-28 September 2018. It will provide a unique opportunity for health authorities, scientists, pharmacists, lawyers and international organisations to discuss the problem and outline the necessary steps to tackle the issue on a global scale.